Not that I was really expecting problems, its just a little nerve racking when you first hook the battery up to a car you just rewired. Luckily everything went very well. The ONLY problem we had was I wired up the headlight relay with two wires crossed. The stamps on those relays telling you what is what are mighty small and I mistook 56b for just 56. We tested every operation and they all work. Its a big relief. We also installed the door windows, the outer window scrapers and the moldings. We also cleaned up the quarter glass moldings and chrome trim. We were on tap to install the quarter windows but Murphy and his laws showed up. One would think that if you purchased a “body rubber KIT” it would include everything you needed. Well, it doesn’t. So, we have a few more tid bits of rubber parts on order. Yesterday we bleed the braking system and checked for leaks this morning. All is well with that too. Tomorrow we will install the gas tank and if all goes well, maybe a short video of the first start up. The engine is is! We received the parts we were waiting for yesterday to allow us to install the engine. There are two very important seals that go around the engine bay that help keep the engine cool. They must be installed before the engine goes in. We installed them, then checked over the clutch, pressure plate and throw out bearing before the install. Once the it was in, we made all of the necessary connections for the coil, generator and fuel lines. We installed the battery and the negative cable but didnt hook up power just yet. It was late in the day and I wanted to have plenty of time to make sure I have triple checked all of the connections. This is not where you want to rush things thats for sure. 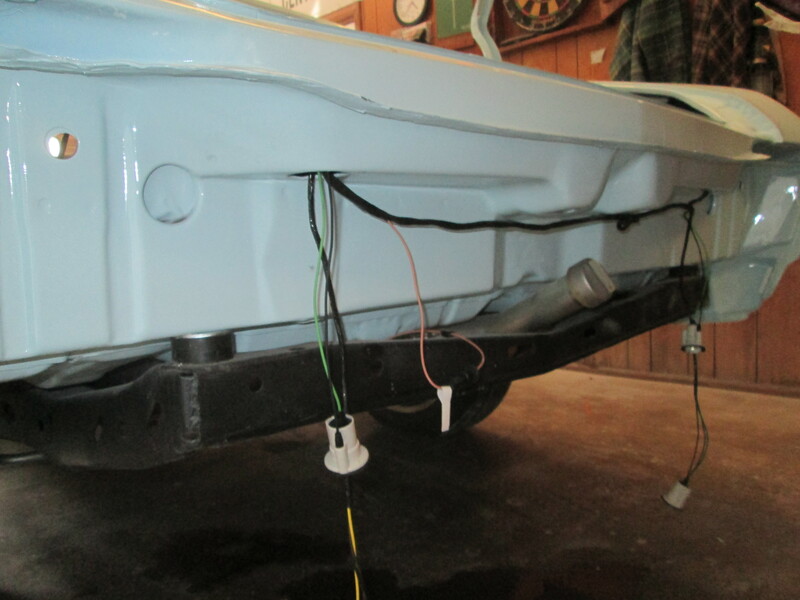 I was able to do a little more wiring today on the Ghia. 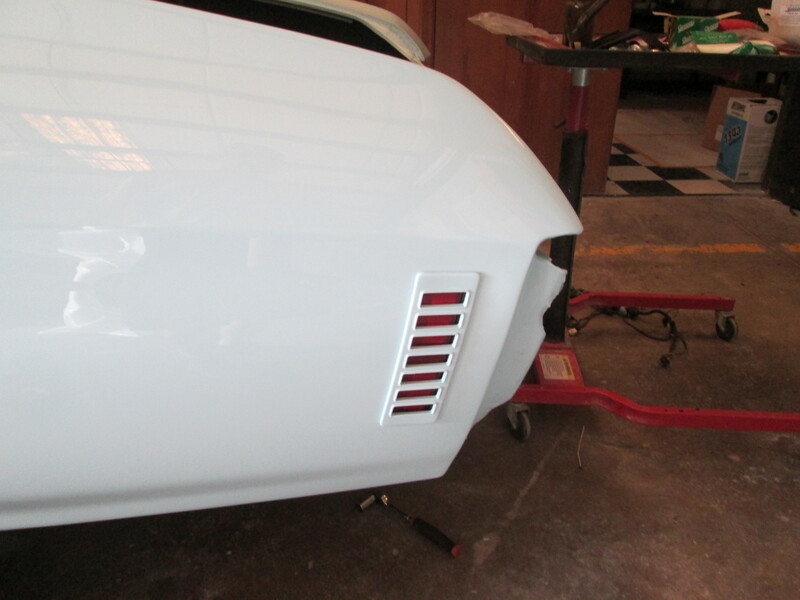 We installed the early front turn signals for a much cleaner look than the big bulky original ones for this ’71. We also installed new headlight buckets. The old ones were in really bad shape, rusty with broken adjusters and springs just wasnt worth trying to fix them. I also snapped a shot of the wiring thus far. We are still waiting on an emergency flasher unit and a headlight relay so we can finish up the spaghetti system. The new voltage regulator came in today so we wired that up too while we were at it. Its been a long road but this Ghia has come a long way and is looking really nice. 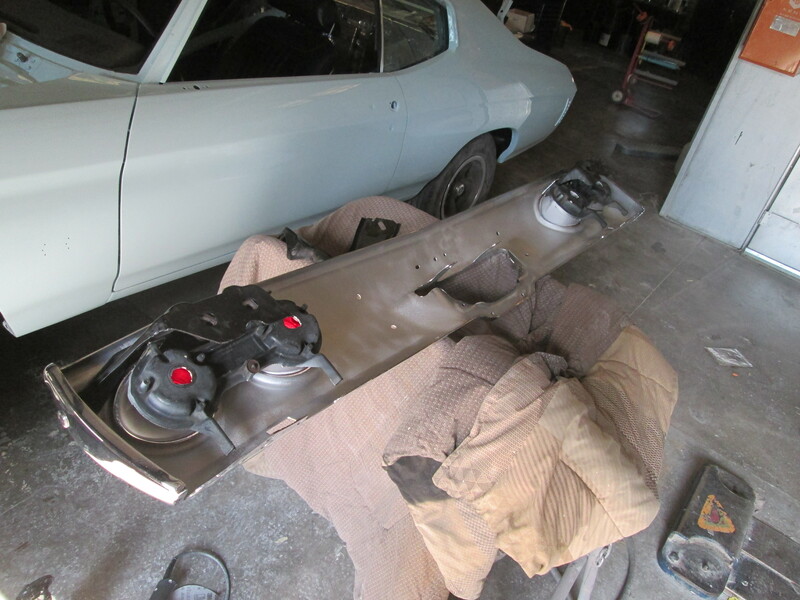 Today we started building the back of the Chevelle. New chrome on the factory bumper, new tail lamp and rear side marker lenses followed by a new rear wiring harness were all installed today. We hope to make some real progress on this car this week. I hope I didnt just jinx it.